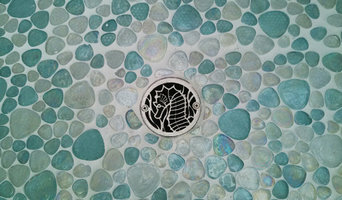 Designer Drains are the newest and most creative accents available in the market of interior design in regards to the enhancing the look of any shower, or exterior application. 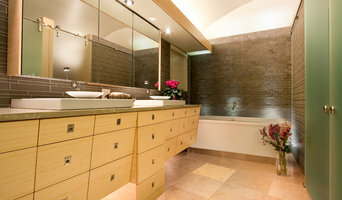 At Aquatica, we create the European-crafted luxury bathroom and spa ware for you, the discerning client. We stand by our motto of Function: Form: Fashion and strive to ensure that every bathroom piece we design fulfills these criteria. As renowned bathtub specialists, all our bathtubs are manufactured in the EU, using only the highest quality materials, age-old craft, and the latest manufacturing technologies. The result is bathtubs that are beautiful as well as durable - perfect in finish and a pleasure to use in every way. Enjoy your bathroom renovation and make your shopping headache-free thanks to our 25 years warranty on select models and 30 days no-questions-asked returns policy. The best part? Guaranteed next day shipping! And the shipping is free! As a global company with the opportunity to base our manufacturing anywhere, we explored all the options before selecting Europe as our primary manufacturing home. Today, all our AquateX™ solid-surface, EcoMarmor™ cast stone and the majority of our acrylic baths and washbasins are manufactured here. It was an easy decision based on the delivery of core capabilities which we believe are fundamental to the superb quality of our range: pin-point precision, superior craftsmanship, generations of expertise, attention to detail and passion for perfection. The often extensive handwork of unique pieces such as our Black Graphite Karolina Freestanding Bathtub is the result of a desire to improve all product aspects. Every time we do this, these are the hallmarks of our success, which surely won’t be found in mass production factory assembly lines. SpectraDécor produces American made eco-friendly decorative hardware as well as imported leading edge designs for kitchen, bath and furniture. Our award-winning knobs and pulls are available through select showrooms throughout the US and Canada. Located in the Wallingford area, Seattle Interiors is a locally owned, dealer/distributor of quality door hardware, cabinet hardware, decorative plumbing fixtures and bath accessories. We sell upcycled and repurposed artisan crafted copper products for the home. Everything we sell is made out of 99.6% recycled copper and hammered to the thickest gauge of quality for each sink, bathtub, light, mirror and accessory that our artists create. We take great pride in selling a sustainable product and are here to help you add a little bit of warmth and history to your home, as 80% of copper that has ever been mined is still in use today! Cascade Cabinetry LLC represents several brands of cabinetry which include: Mid Continent Cabinetry, Merillat Cabinetry, and our house brand, Cascade Crest Cabinets. If you are looking for granite counters or quartz we have an easy to price offering of seventy plus stocked stones priced by net square footage of your counter top area. It doesn't get any easier than that. Five business days from template to install. Of course custom quotes are available on hundreds of other selections. The warehouse is just out our back door. Our business is focused on the needs of the small to medium sized builders, professional remodel contractors, design community and increasingly home owners. Our show room/warehouse is conveniently located between Seattle and Tacoma five minutes off of I-5 at exit 152 (S. 188th St & Orillia Road S.) The show room hours are Monday - Friday 10:00 am to 4:00 pm. Other times are available by appointment. Ask about how to receive free Decorative Hardware samples. It is the easiest program in the industry. A true shop from home experience. We will drop ship your free samples to you. Modrock is a premier fabricator of hand crafted countertops, tables, sinks, fireplaces and many other architectural concrete pieces. 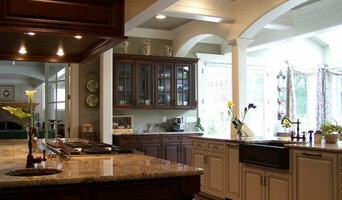 Granite Transformations of Seattle sells kitchen and bath remodeling to the residential marketplace, to owners who are looking for superior durability with a faster, cleaner installation. Unlike other remodelers, we offer maintenance free granite and recycled glass slabs that are installed over new or existing surfaces, saving time, money and hassle with a limited lifetime warranty." Call for a FREE in-home consultation for cabinet refacing, kitchen, bathroom & commercial remodeling, granite and recycled glass countertops and glass mosaic backsplash installation. Electric Mirror is the global leader in mirror technology, and the preferred choice among designers and architects serving the hospitality, commercial, healthcare, senior living, multi-family and residential industries. Every day, our innovative products are enjoyed in more than one million hotel rooms and homes in 100 countries worldwide. We manufacture Smart Mirrors, Lighted Mirrors, Mirror TVs, Waterproof TVs, TV Covers, Mirrored Cabinets, Makeup Mirrors, Fog-Free Mirrors, Corridor Lighting, Wardrobe Mirrors, and Framed Mirrors. The leader in design and innovation, we hold more than 45 patents with dozens more pending. Our headquarters and manufacturing facility is located just north of Seattle in Everett, Washington. Learn more by visiting www.electricmirror.com or call 425.776.4946. We specialize in high end Kitchen and Bath but have so much more! CuttingBoard.com is a boutique retailer of gourmet cutting boards and butcher blocks. Our products are all environmentally responsible and harvested from renewable resources. United Wholesale Supply, Inc. is a contract distributor providing cabinet and appliance specification, design and delivery services to general contractors, remodelers, and owner/builders. By partnering with several major cabinet and appliance manufacturers, we offer a wide selection of products to meet your needs. Custom cabinetry and wood shop that can build anything from wood or metal beautifully. Custom furniture, mouldings, kitchen or bath cabinets. Kitchens and bathrooms are the most renovated rooms in all Seattle homes where storage is a top concern in these rooms, so hiring Seattle, WA professionals to create and install custom cabinets or match and fit fixtures that will make your room unique. Use the Houzz Professionals listings to find Seattle, WA kitchen and bath accessory vendors. Don’t rule out asking a kitchen manufacturer’s design team for help, too. Skills often can be overlapped to save you time and money! Here are some related professionals and vendors to complement the work of kitchen & bathroom fixtures: Kitchen & Bathroom Designers, Kitchen & Bath Renovators, Interior Designers & Decorators, Joinery and Cabinet Makers. Find kitchen and bath fixtures and accessories, plus installation experts, on Houzz. Check out Washington kitchen products and installers, and bath plumbing products and installers, on Houzz. You can also look through project photos provided by Seattle, WA renovators, retailers and designers.